Promotionalwears one of India's dominant online printing superstore. We are an unconquered leader in the field of customized corporate, individual printing and gift requirements for Swiss Military . We are founded with a vision to bring quality and services for all those customers going for online printing specially for Swiss Military . We keep innovating in the field of the garment and corporate gifts to ensure that our customers have the freshest aroma of the products. 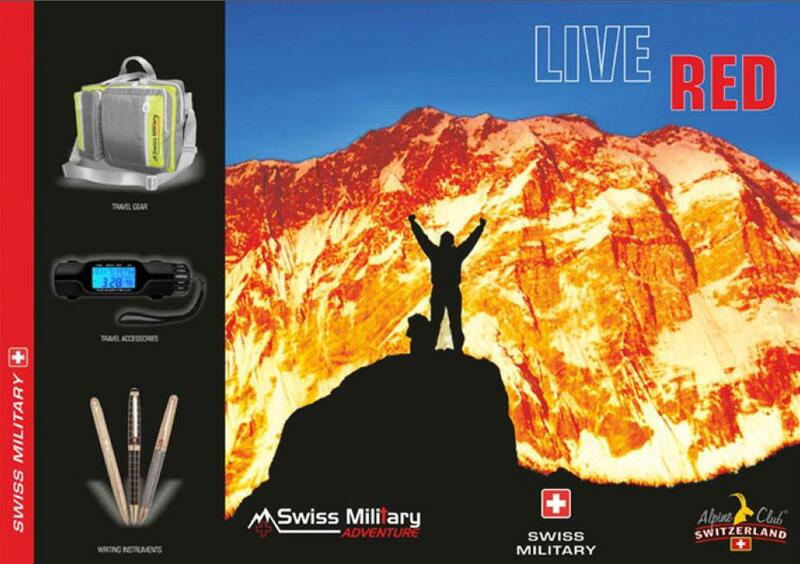 We offer an enormous and diversified range of corporate gifts and promotional items like Swiss Military ,Branded T-Shirts, Custom caps, Custom sports wears,Personalized uniform, logo printed bags, laptop bags and many more varity of Swiss Military . We are privileged to have an innovative team who comes with a new product idea every week of which a customer has not even pondered our team is ready to deliver such products. Such a level of innovation one can experience only at Promotionalwears.